We have exciting news to share with you! 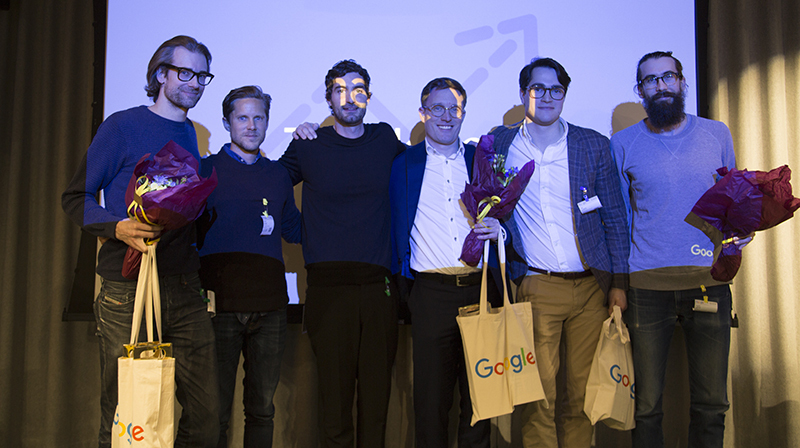 We were selected as one of the winners to participate in Google’s Accelerate your Growth program. That is, Sniffie is one of only three start-ups / scale-ups chosen to co-operate with Google to deliver more value from digital marketing for all business globally. Read more below! Accelerate your Growth is a new global Google initiative to find ways for startups and scale-ups to solve global marketing and ad tech challenges of tomorrow. That is, the chosen companies and Google closely co-operate and innovate together to bring forward new ideas and solutions in marketing and ad tech. The chosen three companies, including Sniffie, are also fast-tracked to apply to Google partnership program. In this new accelerator program, Google will act as a mentor and sparring partner for the chosen start-ups and scale-ups to help them to grow even faster. By being selected, Sniffie will receive numerous benefits from Google, such as strategic advise, product and specialists support. We are truly honored for being selected, since we at Sniffie hold Google as one of our role models in scaling up. For our customers this opens up an opportunity to benefit for the development of something new they will have the opportunity to add on their Google Ads -campaigning. So how come we were chosen? Well, we have gigabytes and gigabytes of useful market data that we realized nobody really utilizes effectively for marketing activities. Thus, our idea is to combine all that data with marketing data automatically to make your experience more meaningful. We will build an automatic integration to Google APIs, allowing our users to automate many of their day-to-day marketing activities. We do this by leveraging Sniffie’s analytical capabilities in knowing what actually happens in the market. Such information might be price changes, new products, availability etc. With that information, Sniffie and Google can deliver an up-to-date marketing experience to anybody using any Google products. While we are coming out of beta at the same time we also have developed a focus for our coming growth. Currently Sniffie offers very effective price monitoring but also repricing with supported analytics. Our aim is to grow to become a serious player in the ecommerce optimization space. A service that help you to optimize the way you do business online. Tomi is an experienced entrepreneur, leader, passionate marketing and sales guy. He loves products and services that make a complex world simple. A loving family man, and a passionate team member. Active grappler and martial artist.